Not only do modern floorcoverings need to be pristine, beautifully designed and indistinguishable from the real thing, they also have to be particularly robust and moisture-resistant. 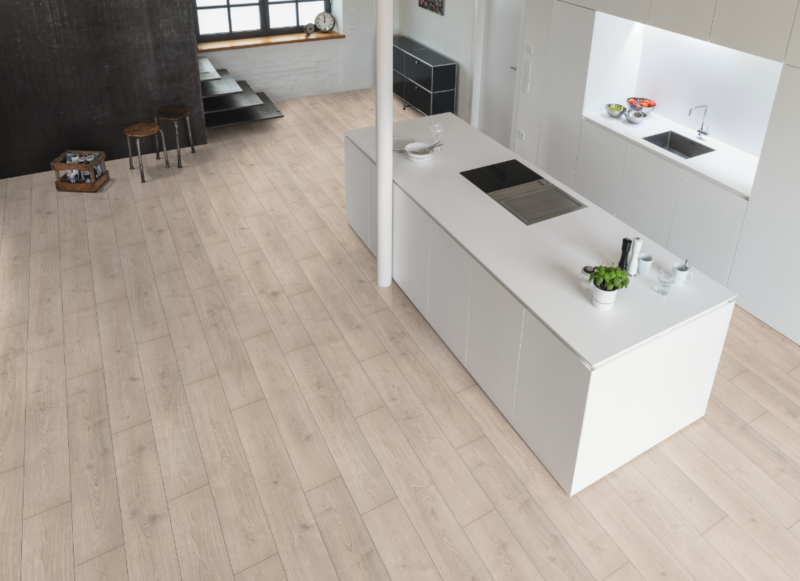 The latest EGGER Pro Flooring 2018-2020 Collections includes Aqua+ Laminate flooring, which provides a solution for nearly all application areas. The product provides a water-resistant floor that is well suited to bathrooms, restaurants, entrance halls, kitchens and bars. Featuring the latest woodgrain decors, the collection provides a high quality, functional product with style. According to the company, Aqua+ is five times more resistant to water swelling than a standard laminate because of the specially developed high density fibre (HDF) core board. Waterproof skirting is available in matching decors, along with sealer, moisture barrier underlay and mats, to ensure maximum water resistance and a high quality consistent finish. The latest international décor trends were used as inspiration for the Aqua+ range. Woodgrain decors are available in a classic board format (1291 x 193mm) and feature eight oak, walnut and elm finishes. Similar to the majority of the range, Aqua+ boards are installed using UNIfit!. EGGER’s flexible and floating installation technology means no tools are required and multiple installers can work simultaneously in one room. Aqua+ has a very sturdy connection and is easy to install around doors, pipes and radiators.